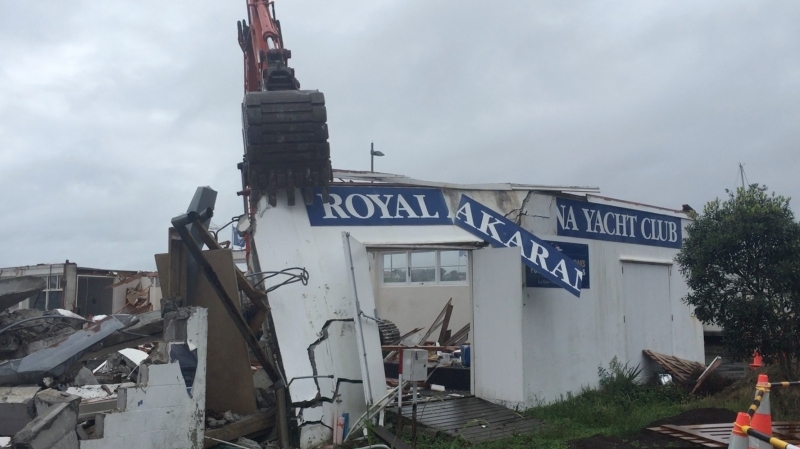 The last of the demolition of the old Royal Akarana Yacht Club building has now come down. 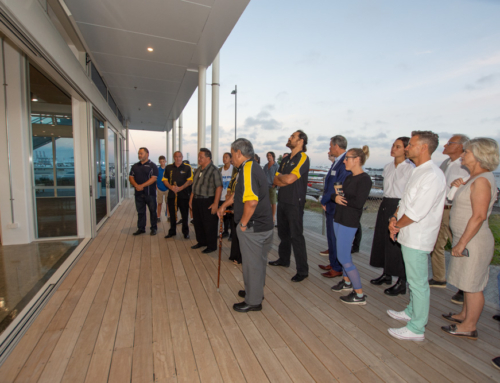 The a-frame exterior wall of the Hyundai M-Class Lounge was the last piece of the building to be pulled down by the digger on Tuesday morning the 4th April at 0930 hours. The site will now be cleaned up with all the rubble taken offsite. The next important date on the construction calendar is the “turning of the sod” ceremony on Wednesday 12th April from 1500 hours. Members are invited to attend this event and are asked to RSVP to ensure we have enough catering.